A friend of mine, Mitch, has been running the New Balance 1210 shoes for about a year now. He absolutely loves them! 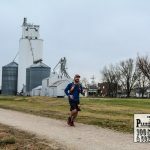 For about 2 months, I was having some swelling tender knee issues on my runs. My shoe of choice for the past 2 years has been the New Balance 1010. It’s a minimus trail shoe that allows the foot do what it was born to do: adapt to the terrain. 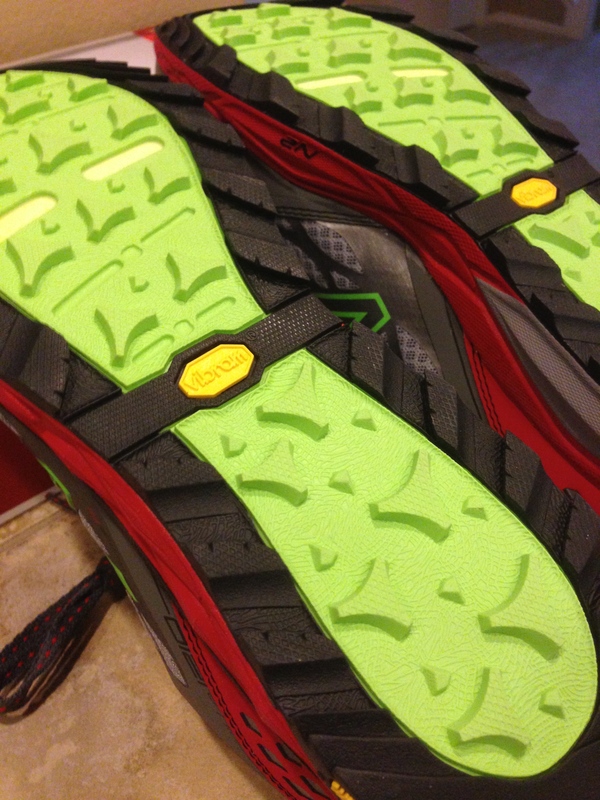 I still love this shoe, but needed test out some cushion on the descents to see if it would help with the knee. Mitch warned me that these were not minimus shoes. He’s bigger than me, so he wears them to help with absorbing the impact of running and stability of the foot. Ready to go, I went online to Road Runner Sports and placed my order. 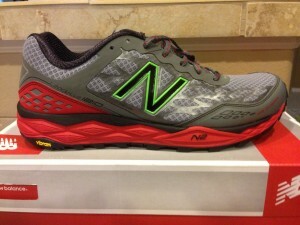 The 1210 shoe was designed for Leadville. As I’m going for my 3rd attempt in 2014, avoiding the 2013 ER incident, I decided to give this shoe a try. I generally do my first run with a shoe on a treadmill so that I can make adjustments. It was a good thing I did this as it felt as though my heel was sliding out the back of the shoe. After miles like this, yes I went that far with my heel doing that, I laced up an extra hole. From there, back onto the treadmill and all felt good. These shoes have cushion. Going from a minimus running shoe to the 1210 feels like going from socks to platform shoes. It may not be that dramatic, but it feels that dramatic. After running for a few miles, you start to get used to it and appreciate the cushion from the pounding of the downhills. I took the 1210s to the trail with a friend. We headed up to Hall Ranch and started the trek. The plan was 7 miles with 2k of climbing to test out the shoes. The terrain at this trail ranges from dirt to rocky to climbing over bolders. While the teeth on the sole of the shoe is acceptable, I was surprised that it wasn’t longer. 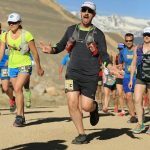 It seems like for a trail shoe, there should be more bite into the ground. These grips are wider and flatter than I am used to. 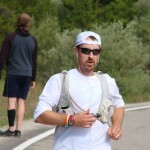 Hall Ranch in Lyons is a beautiful setting for any run! We probably saw over the miles 50-60 deer on the side of the trail. They are quite used to humans on the trail so very little spooks them. It makes me feel good seeing them as it probably assumes there are no mountain lions around. On the descent down the trail, it felt like I had pillows on my feet. While that is nice from a comfort and shock absorbing level, it didn’t feel natural. When I say “natural”, I don’t feel like I was able to maneuver through the more technical aspects of the terrain as well. There is a great stability in these shoes, but if you are light on your feet, there can be a feeling of restriction. Everyone has their views on running form, but I like my feet to do their job and adapt to the step. Whether it’s recovering from an ankle roll or switching to loose gravel, the foot has been very effective throughout history to protect the body. People have their opinions in this … and why there are thousands of books on the topic. 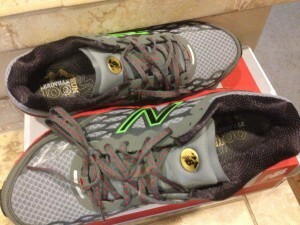 Overall, I will weave the New Balance 1210 in and out of my training runs, but it will not become my primary ultra shoe. I’ll use it late in an ultra if possible to provide cushioning on the foot/body as needed. If you are a larger person (all subjective) and need cushion/stability, this shoe is worth a try. Head over to Road Runner Sports and join their VIP program to have the ability of trying out shoes for 90 days.